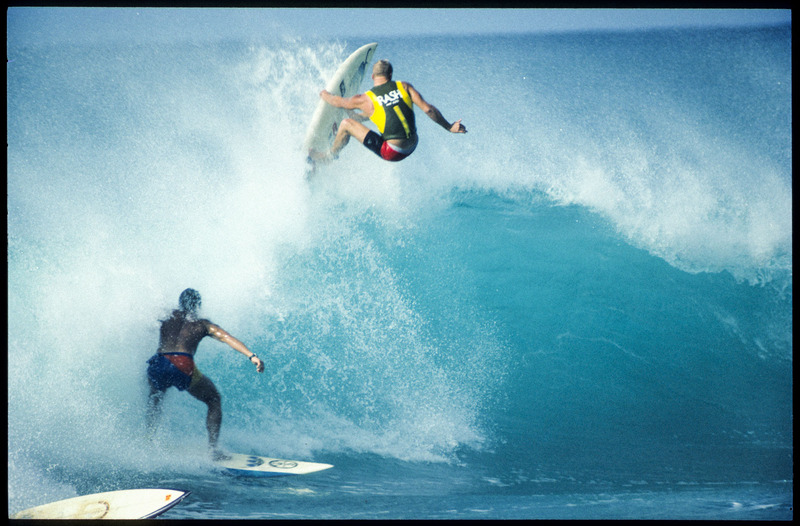 The late Tim "Taz" Fritz was one of the first early aerial surfers. Tim came from Hawaii Kai on the south side of Oahu and blew peoples minds on the North Shore. He actually did 360's on the take off at Pipeline.